The new coffee shop and convenience store will offer products from Caribou Coffee. May 17, 2016; 3:30 p.m. 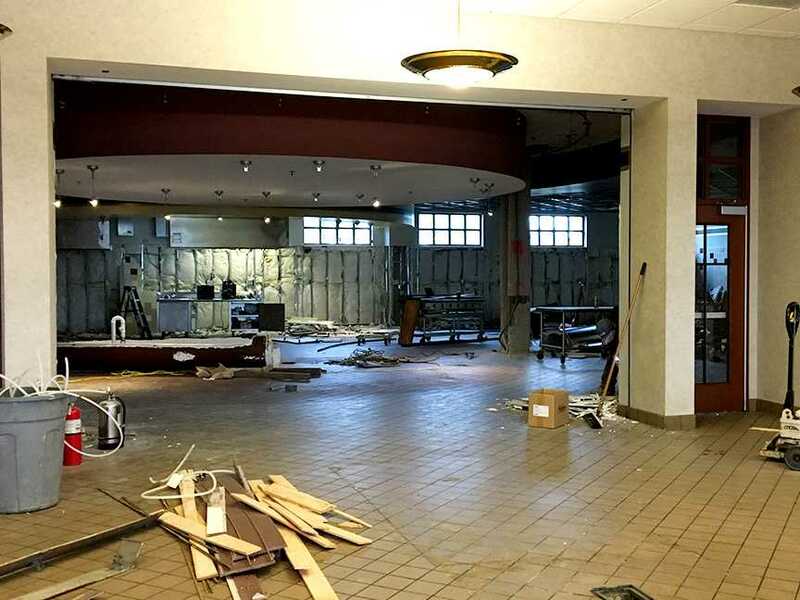 The dining halls in Spellmann Center and Evans Commons are receiving a new look, as construction work has started this week to make room for new national food brands coming to Lindenwood. 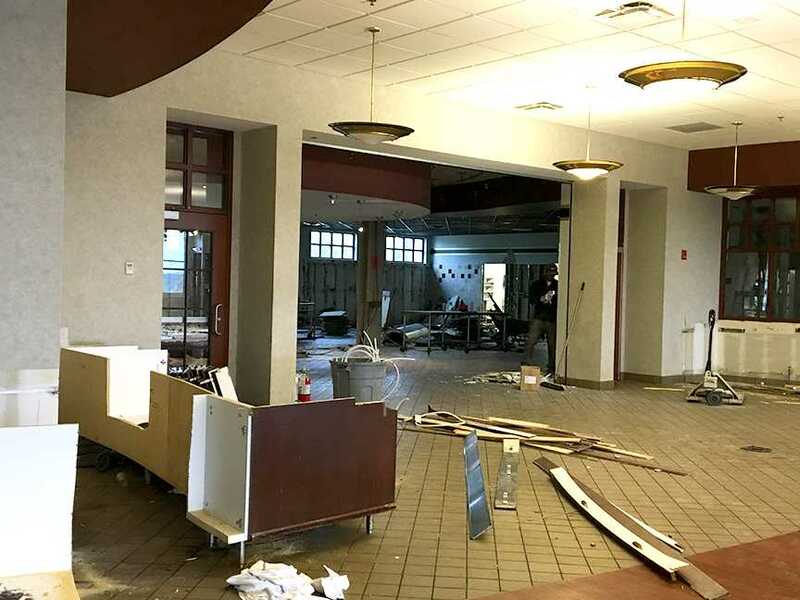 Renovations in Spellmann are already in full force, while construction in Evans will officially begin Wednesday, officials say. Spellmann cafeteria will feature national food brands such as Qdoba, Chick-fil-A and Caribou Coffee. 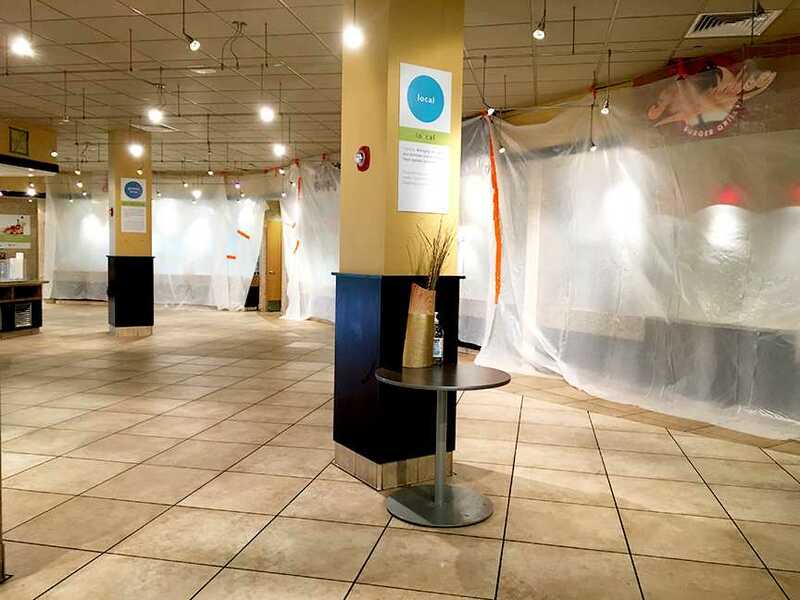 The Lion Pride Coffee shop located next to Spellmann cafeteria is being expanded and turned into a convenience store, which will offer Caribou Coffee products. 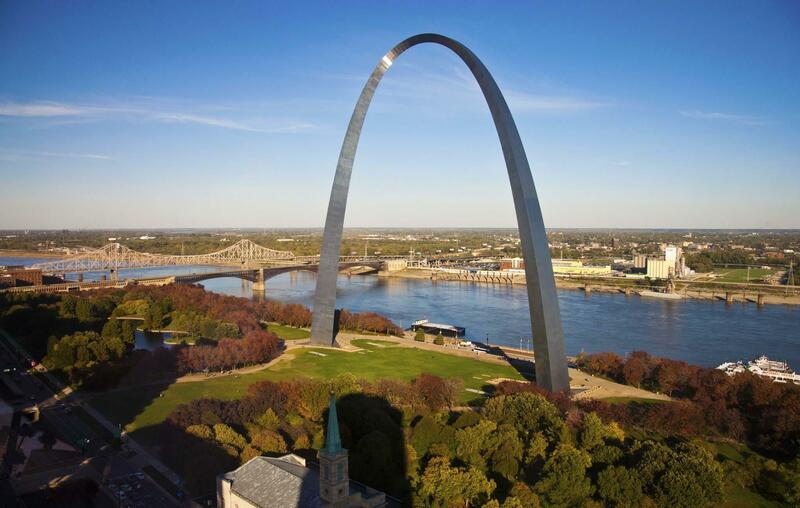 Officials say the construction will be completed by the end of summer, just in time for incoming and returning students to use the new facilities when classes begin in August. 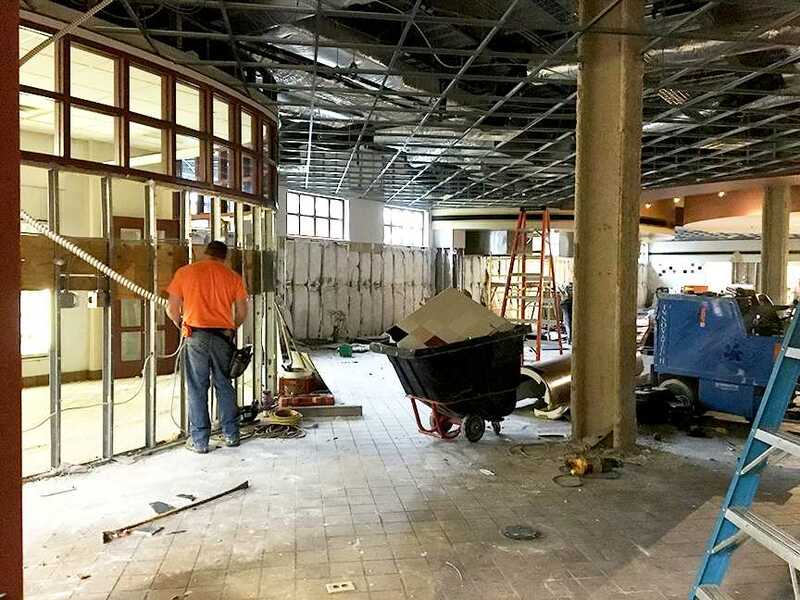 Until the construction work is done, the only option students have to eat over the summer will be a special set-up in the Evans Commons dining hall. – Lunch: 11:30 a.m. – 1 p.m.
– Brunch: 11:30 a.m. – 1 p.m.
Construction in Evans Commons will begin Wednesday, May 18. The new brands featured in Spellmann cafeteria include Qdoba and Chick-fil-A. Construction in the Spellmann Center has started earlier this week.